Tonight the team will be out and about knocking on doors in Egremont. Sadly I will not be with them, because I will be at the planning committee speaking on behalf of residents on a planning application made by Anderton Concrete. So another reprieve for Denis! Never mind there is always tomorrow and the next day and the next day…………………………. Today is ‘Black Tot Day’ A centuries-old Royal Naval tradition ended on 31st July1970 at precisely 6 bells in the forenoon watch (i.e at 11 am), when the last rum ration was issued. The Black tot of course related to the dark rum that used to be issued to sailors on a daily basis, replaced the daily gallon of beer that used to be issued until 1731. Tonight the Action Team was out in Wallasey calling on people to seek their views. (I wasn’t I had a very rare night off – Wow did you hear Denis sigh?) The reception, I am told was as you would expect, tremendous and at this rate, when Gordon presses the button to kick off the General Election, Angela will be up for eviction from that other Big Brother House, known as Parliament. 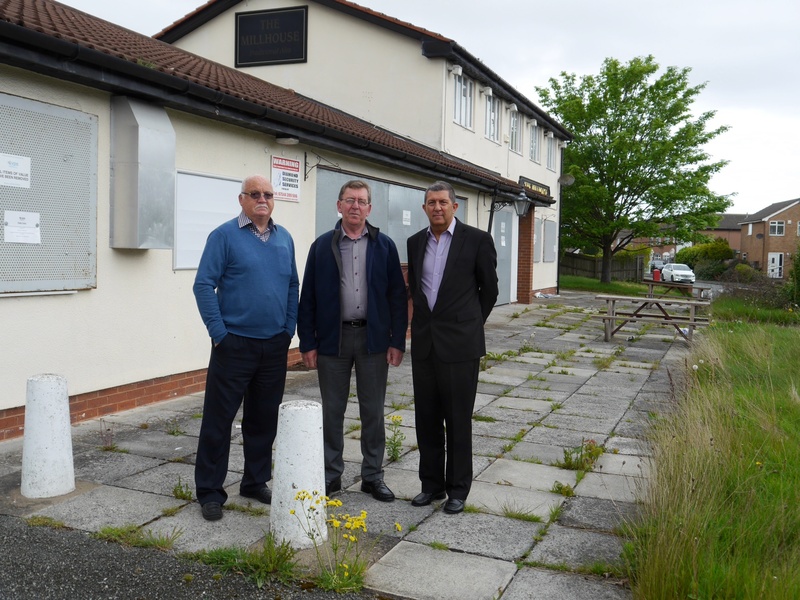 A recent shock disclosure that Girtrell Court residents could face eviction as the Labour led Council continues to decimate Social Service budgets was greeted with dismay by staff, residents, residents advocates and their families alike. 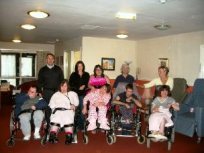 Girtrell Court is a purpose built facility that is the home to people with severe physical handicaps and a facility that provides respite care for many more. Girtrell Court is currently turning away people because they don’t have the capacity to take any more residents so any thought by the council that this facility is not required or not well thought of by users is misplaced. I have recently submitted a petition to the Council signed by well over 500 people, including residents, staff, residents advocates and families calling on the Council to carry out full, open and transparent consultation prior to any recommendations or decisions being brought to committee and cabinet about the future of this purpose built facility. Along with my colleagues, Cllr Chris Blakeley and Cllr Suzanne Moseley we will do everything in our power to save Girtrell Court from closure. If you want to add your support to this issue just leave your name and address as a comment on this posting or email me by clicking here. Following many complaints from local residents about the time they have to wait for an operator to answer their call at Wirral’s Call Centre and lobbying from your Conservative Councillors the Council has agreed to put in £203,000 this year to make the centre more efficient. last year the ruling Labour / Lib Dem alliance cut staffing levels at the Call Centre in a desperate attempt to balance the books, however local residents, you and I were the ones who ultimately suffered as a result of that short sighted view. Lets hope that calls will now be answered in a reasonable time. One things for certain if they are not i will be jumping up and down again on the Lib Dem Cabinet Member who is responsible for this. Over the last week I have been contacted by literally hundreds of people all concerned about the actions of Wirral’s Primary Care Trust in sending out a little blue card, (looks like junk mail), under the name of ‘Wirral Keep Well’. Many people do not realise that if they do not complete this blue card to ‘Opt Out’ and send it back to their GP’s practice that their personal details will automatically be sent to a company based in Boston, yes that is Boston America! not Lincolnshire. I think this approach is to say the least, misleading and unacceptable and I have sent an email to Mrs Kathy Doran, Chief Executive of Wirral Primary Care Trust, asking her to ‘Think Again’ and to give people the opportunity to ‘Opt In’ to such a scheme, I believe that would be a much fairer approach. You can read that email below. I am aware of the Primary Care Trusts intentions of passing on our personal health details to a company based in Boston Massachusetts. Given the government’s track record with security and losing millions of people’s details on C.D’s and DVD’s not on one occasion but two within two weeks, do you think it is a good idea to trust them with such personal information. As for having to opt out, if you don’t want to participate don’t you think it may have been fairer to all, if people where given the opportunity to opt in. Under the circumstances and the public concerns regarding this scheme, I would ask that you contact all the patients again giving them the opportunity to Opt In. That in my opinion would be a much fairer way of handling this matter. Thanks to all those people who visit our blog. Last week saw the best week ever with almost 1,000 visits to the site, and with four days to go we are on target to smash last months record for site visitors. To help people access the site every time there is a new posting we have added the Feedburner application. If you want to take advantage and sign up to enews you can do so by clicking on the link at the top of the right hand column. Once you’re signed up, you will be notified by email everytime a new posting is published on this site, it’s easy and it’s free.